Come here early enough, and it’s just a few early risers, dedicated runners, and well, me. There’s plenty of space to move around and change the angle of how I’m seeing things. Sure enough, there’s a bright circular halo surrounding the famous St. John of Nepomuk statue. With the rising sun in the background, the back-lit view has other bridge fixtures, some buildings, and the tall sharp dual spires of the Church of Our Lady Before Týn in silhouette. Image: 1/640s, f/8, ISO100, 18mm focal length (29mm full) with Canon EF-S 18-55mm f/3.5-5.6 IS II lens. form, appearance, configuration, formation, structure; figure, build, physique, body; contours, lines, outline, silhouette, profile. It is one of the many “pieces” of good photography, and when the separate pieces come together, there’s something beautiful to behold, even perhaps, thought-provoking and inspiring. I’m not going to pretend my photographs are absolute “championship” quality, but I know and understand my photographs are often worth a good long look. Here is a small selection of shapes I’ve seen from around the world with my trusty Canon EOS450D (XSi) camera (which has since given way to the 6D). I spent a lot of time here, watching how the light rays streamed in from above, how smoke from the burning incense played with the light, how residents and visitors came in and out of the temple, how some put their rituals into practice to honour their ancestors. Image: 1/25 sec, f/8, ISO 800, 41mm focal length (66mm full) with Canon EF-S 18-55mm f/3.5-5.6 IS lens. On the 2nd Christmas Day (known also as Boxing Day), I came to Berlin’s train station to watch the traffic of trains and people. Snow was an issue throughout the country, and many cross-country trains were delayed coming and going. 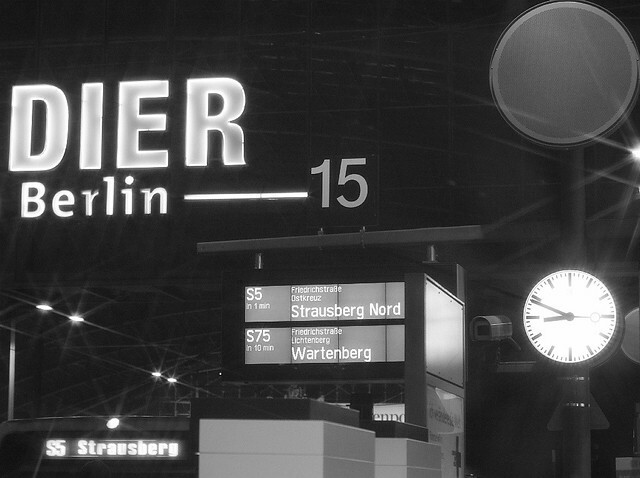 Platforms 15 and 16 serve customers for S-Bahn trains, and here was a wonderful coming together of letters and numbers, signage, light, squares, and circles. Image: 1/125 sec, f/2.8, ISO800, with the Canon EF 50mm f/1.4 USM prime-lens (80mm full). I love the play of the smooth scours and the flat little “valley” floors in the hard rock. It’s easy to forget that erosion takes place everywhere, even if erosion takes place over a very slow geologic pace. Some of the rock formations have unusual shapes as “soft” rock is preferably eroded to “harder” rock. 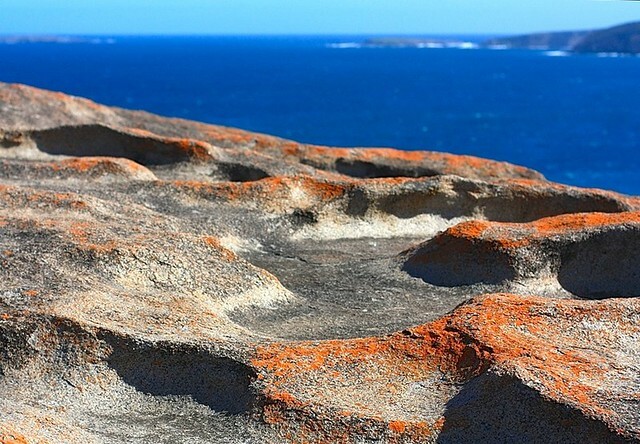 The orange colour on the rock is lichen which converts rock eventually into soil, providing an alternative organic route to erosion. Image: 1/1600 sec, f/4, ISO100, with the Canon EF 50mm f/1.4 USM prime-lens (80mm full). 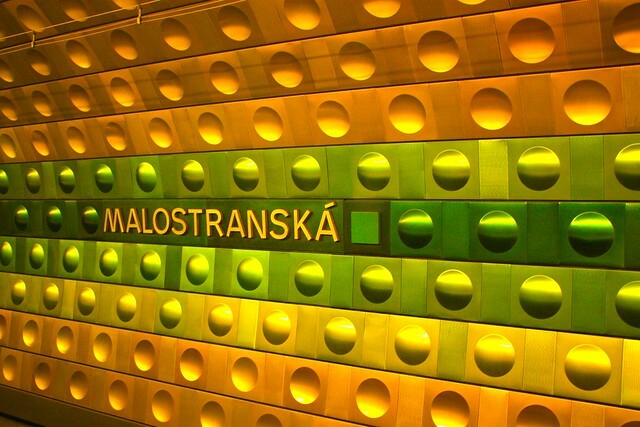 I’m a big fan of signage, and in Prague’s metro stations, I’m particularly fond of their signage which tells passengers where they are and on what metro line they’re traveling (green square for the green line, or line A). The straight lines, rows of convex and concave circles, and vivid colours produce a powerful “wake up” underground visual in what might otherwise be a drab cement tunnel with tracks and overhead wiring. Image: 1/5 sec, f/3.5, ISO800, 23mm focal length (37mm full) with Canon EF-S 18-55mm f/3.5-5.6 IS lens. Often, circumstances present themselves, and often, you have to wait to make your own photograph. 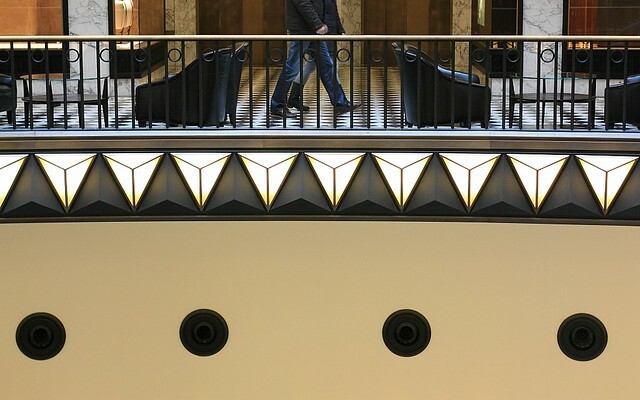 The decorative panels with the triangular and circular shapes begged to be photographed, but what made this shot better was the glimpse of people walking, framed by the oppositely-facing chairs on the floor above. Image: 1/60 sec, f/2.8, ISO200, Canon EF 50mm f/1.4 USM prime-lens. More here. There aren’t going to be many visitors who set out deliberately to a typhoon shelter. But Lei Yue Mun is a narrow channel, and there’s traditionally been fishing off these Hong Kong waters, easy to tell by the numbers of fishing boats parked nearby. What made this photograph were the straight and sloped lines of the typhoon shelter; the two men standing and waiting, having cast their fishing lines; the tight clustering of sky-reaching office- and apartment-towers on the other side of the harbour; the curved outline of the mountains in the background; and the soft puffy clouds above. Image: 1/800 sec, f/5.6, ISO100, 55mm focal length (88mm full) with Canon EF-S 18-55mm f/3.5-5.6 IS lens. 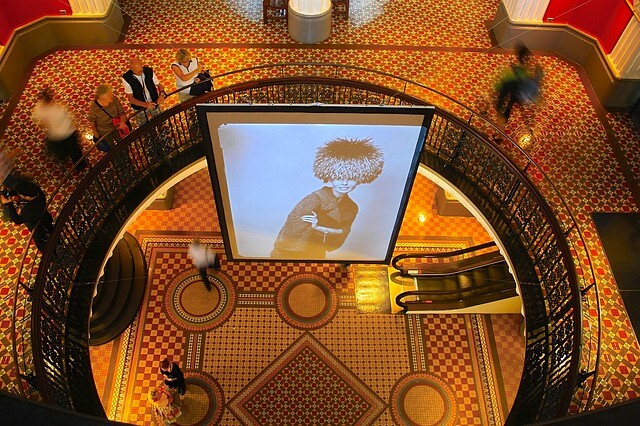 Standing on the floor above ground, I looked down at the slideshow of images from the work by Bruno Benini who was well-known in Australia for fashion photography. I liked this composition of the image of the model looking up to her right (our left), the people standing at the upper left, people in motion throughout, and the abundance of (leading) lines and circles above and below. Image: 1/4 sec, f/3.5, ISO400, 18mm focal length (29mm full) with Canon EF-S 18-55mm f/3.5-5.6 IS lens. More here. Just before closing and departing the grounds, I looked back on this cold late-fall afternoon and saw how the open oval roof framed not only the rest of the stadium below, but the tower in the background. It’s no surprise I love seeing symmetry, and there’s a nice convergence of central symmetry in this shot, too. Image: 1/400 sec, f/4, ISO400, 18mm focal length (29mm full) with Canon EF-S 18-55mm f/3.5-5.6 IS II lens. As the sun was about to set, I took out my 70-300mm lens to photograph the silhouette of the city’s skyline. 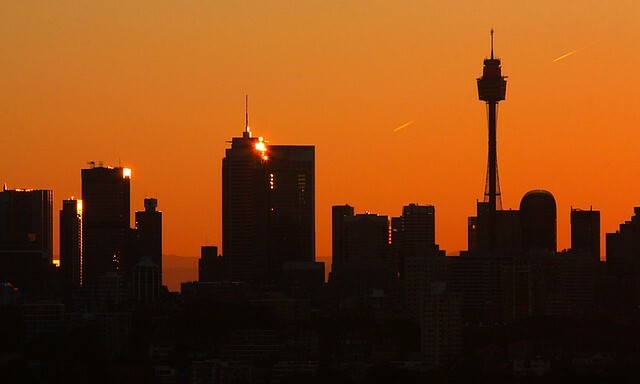 The different shapes of the buildings, the glint of sunlight from various glass at the upper corners of the towers, the unusual shape of Sydney Tower were almost nothing, compared to the fortunate appearance of the two airplane contrails on both sides of the Tower. Image: 1/100 sec, f/18, ISO200, 225mm focal length (360mm full) with Canon EF 70-300mm f/4-5.6 IS USM lens. 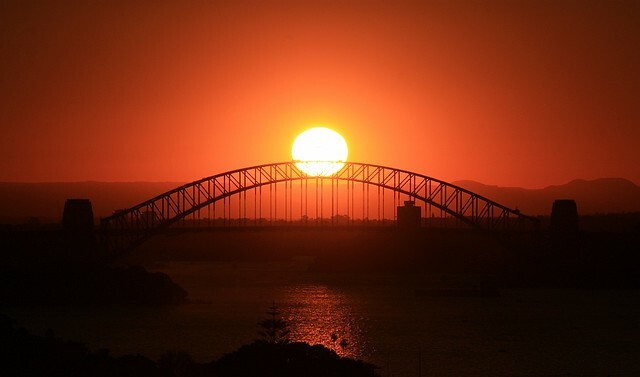 I’d been to Dover Heights previously for a view of Sydney’s skyline from the eastern suburbs, and I noticed the path of the setting sun would intersect the top of the bridge. The angle of the sun’s descent and how one views this intersection depends strongly on location and on the time of year. But failed attempts on previous days were all worth the effort of seeing how the setting sun landed at the very top of this famous landmark of a bridge. Image: 1/2500 sec, f/16, ISO200, 200mm focal length (320mm full) with Canon EF 70-300mm f/4-5.6 IS USM lens. More here. What shapes do you see and seek out, at home or on the road? I made all of the photographs between 2008 and 2013. This post with Twitter hashtags #FriFotos and #shape on 10 January 2014 appears on Fotoeins Fotopress at fotoeins.com as http://wp.me/p1BIdT-4jg. dang, henry … these shots are f-ing amazing!!! wow! Hi, M; thanks for reading and for your kind comments. I’m sure Queen Victoria would’ve been happy, but I hope Lynn Gleeson (model) also got some press for being photographed by Bruno Benini for that fashion shoot! Wow, stunning indeed. I think the one from the Olympic Stadium is my favorite. Hola y gracias, Eva! 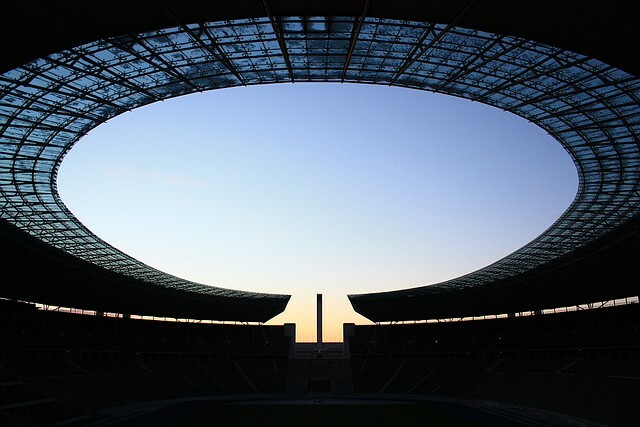 I’m not surprised the photo of Berlin’s Olympiastadion (in dusk’s silhouette) was your favourite. 🙂 Thanks for stopping by! Thanks for your kind compliments, Tricia! I don’t think I deliberately seek out shapes when I view the world. But that’s not to say my training as a scientist along with my intuition don’t help when I point my camera and shoot. 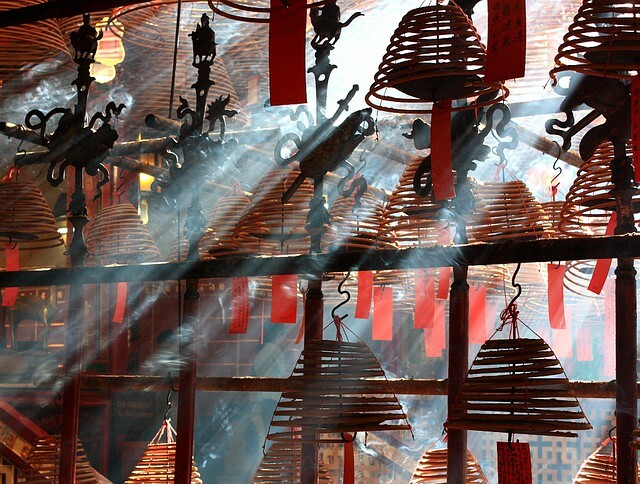 The shot of the sunlight and the incense smoke in the Hong Kong temple was somewhat accidental; I kept walking around and waiting until I saw something that really caught my fancy. I agree with you about silhouettes: I think that’s something I now seek out. Looking forward to seeing more of your shots from Croatia! Thanks again for reading and for your comments! Henry, it’s insightful to hear more about a photographer’s inspiration. 🙂 We have yet to see Hong Kong, but I hope to get back to that corner of the world someday soon. Hope all is well in Canada, and until next time.